The Airowear Junior Outlyne Body Protector combines high quality materials and value for money to create a highly advanced body protector specifically for children. 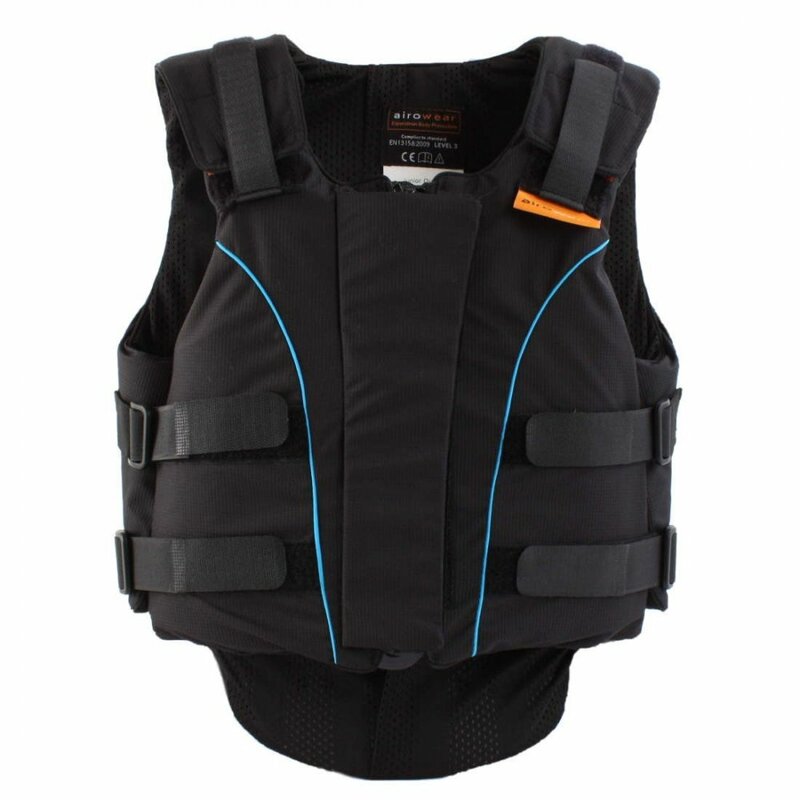 The Outlyne Body Protector is soft and flexible to ensure comfort at all times and made from an impact absorbing material that's lightweight and highly mouldable. This Airowear UltraFlex Technology uses the thinnest possible shock absorbing material that reacts to body heat to ensure it can stretch around the torso, comfortably fitting growing junior body shapes. This childs body protector is adjustable at the shoulder, waist and chest to allow children to grow and has markings on the velcro to show when the body protector has become too small. The zip up front makes it super easy to take on and off and it conforms to the higest rider safety standards. The Airowear Junior Outlyne Body Protector is the perfect choice for Pony Club, riding lessons and competing.